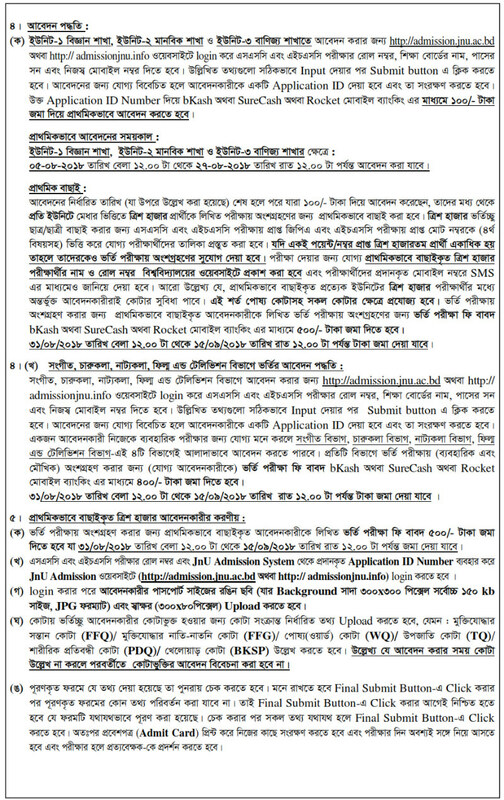 Jagannath University Admission 2018-19 | admission.jnu.ac.bd. Jagannath University Honours Admission 2018 procedure will be started from August 2018. This year JNU admission test procedure is totally different from that of previous years. JNU will primarily select 30,000 candidates for the written admission test. Primary selection will be made on the basis of SSC and HSC GPA. JNU Admission Test 2018 primary selected candidates list and Jagannath University Admission Result 2018-19 will be found here. 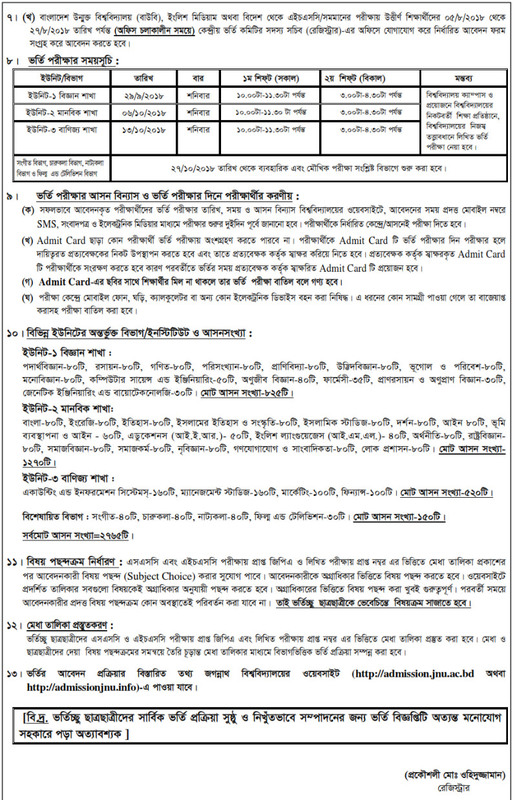 Applicant should pass SSC/Equivalent exam in 2015/2016 and HSC/Equivalent exam in 2018. 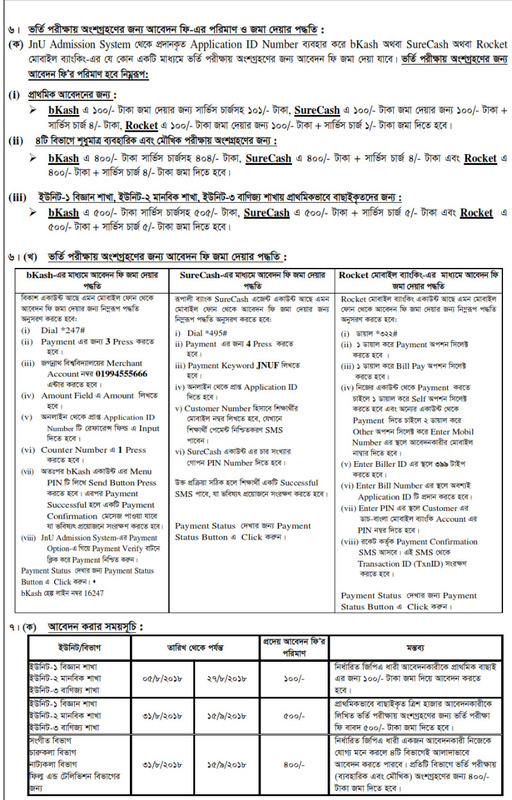 Primary Application fees: 100 BDT for all units. JNU Admission Test 2018 will be held in written system. Exam duration is 1.5 hours. JNU Primary Selected Candidates list will be updated here timely. Like Our Facebook Fanpage facebook.com/resultnotice to get the latest information about Jagannath University Admission 2018-19 and get future updates. 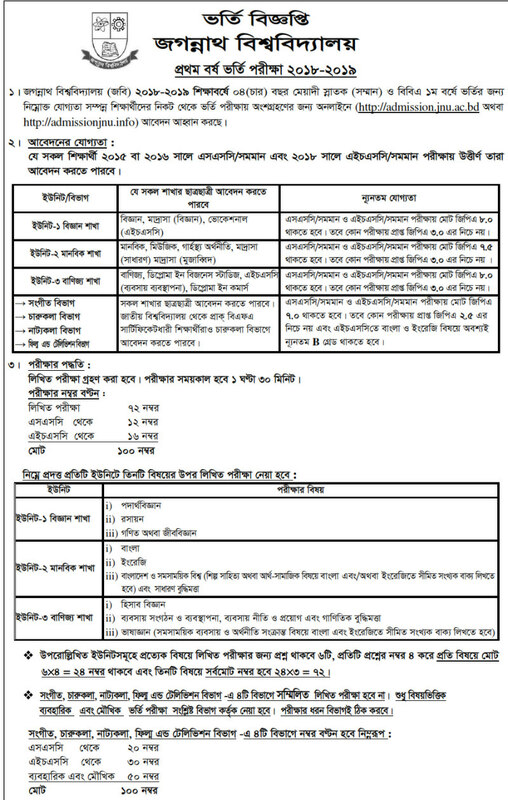 This entry was posted in Admission, Jagannath Universuty, University Admission and tagged Jagannath University Admission 2015-16, Jagannath University Admission 2017-18, Jagannath University Admission Circular 2014-15, Jagannath University Admission Notice 2014, Jagannath University Admission Notice 2015-16, Jagannath University Admission Notice 2017-18, Jagannath University Admission Result 2014-15, Jagannath University Admission Result 2015-16, Jagannath University Admission Result 2017-18, JNU Admission 2014-15, www.jnu.ac.bd by Result Gov BD. Bookmark the permalink.